(Reuters Health) - Scans of people's knees are less likely to reveal a problem when the referring doctor has a financial stake in the imaging center or the equipment used, suggesting some tests may be unnecessary, according to a new study. When doctors have a financial interest in the imaging facility, their patients are 33 percent more likely to get a test result that shows nothing wrong, compared to patients of doctors with no financial interest, U.S. researchers found. "It does raise the questions: Are these studies being performed unnecessarily? Are these machines being over utilized because of an unconscious bias?" Dr. Matthew Lungren, the study's lead author who did the research while at Duke Medicine in Durham, North Carolina, said. In medical circles, it is known as "self referral" when doctors send patients to get images or scans taken at centers they partially own. For the new study, published in Radiology, Lungren and his colleagues reviewed 700 magnetic resonance images (MRIs) of knees taken between January and April 2009 at a single imaging facility and ordered by two groups of doctors practicing in the same geographic area. One set of doctors had a financial stake in the imaging facility and the other did not. The patients in each group were similar to each other in age and the doctors in each practice also had similar training. 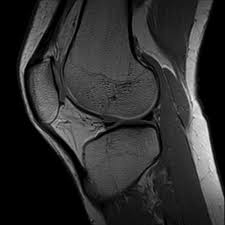 Of the 350 MRIs ordered by the group with a financial interest in the imaging equipment, 117 of the tests were negative for a problem with the knee. That compared to 88 negative results among the 350 MRIs ordered by the group without a financial interest in the MRI machines. "There are a lot of possible explanations for this but the bottom line is that there is a significantly higher number of negative studies coming out of the one specific group," Lungren said. He cautioned the new study cannot show that owning a stake in an imaging center or its equipment caused doctors to order unnecessary tests. For example, Lungren and his colleagues write that the doctors in the group that owns part of the imaging center and its equipment may have a culture of ordering more tests, compared to the group without a stake in the imaging centers or equipment. But Dr. David Levin, professor and chairman emeritus of the Department of Radiology at Thomas Jefferson University in Philadelphia, said he is not surprised by the results. "This whole issue of self-referral and imaging has a long history," he said. "Every study that's ever been done shows self-referring physicians are going to do more imaging than physicians who refer patients to hospitals or imaging centers." Levin, who was not involved with the new study, added that aside from the cost of medical imaging to the patients, such as co-payments and deductibles, there is the potential that the unnecessary tests could cause harm. For example, some tests - such as CT scans - expose people to radiation and there's risk of a reaction to the contrast agents used in a number of tests. "Anytime a needless test is done it creates some danger to the patient," said Levin. An MRI of the knee can cost between $700 and $1,000. Lungren said that while patients may not want to second guess their doctor's decision to order a scan, they should ask whether they're being referred to an imaging center where the doctor has a financial interest. "The goal here is to be more transparent," he said. SOURCE: bit.ly/16h3bnC Radiology, online September 17, 2013.